In a world full of EXTREME- "How The Hell Do I Eat This Thing?" burgers, Ben's Burger is the light at the end of a very dark tunnel...Burger purist rejoice! Ben's Burger is located on 5 Winn Street, Winn Lane, Fortitude Valley. The classic burger joint opened it's doors last year, and is the creation of brothers Ben and Nick Chiu. Ben's specializes in traditional American burgers, shakes, and fries done exceptionally well in a laid back setting. 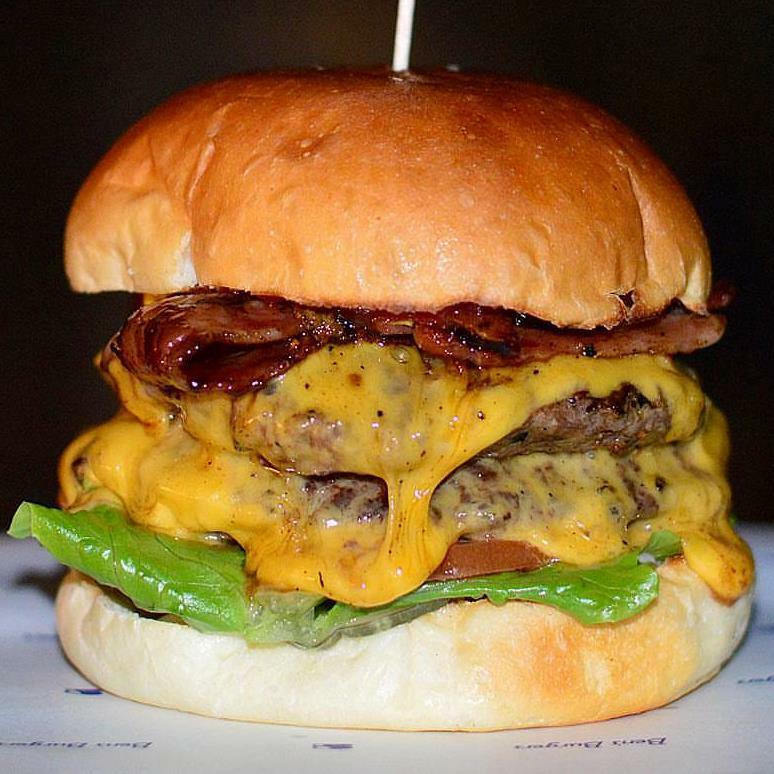 Even though the trend lately seems to be BIGGER is better when it comes to burgers, Ben's has managed to secure it's spot in the Brisbane burger scene by doing simple, quality cheeseburgers. If you ask any Brisbanite where you can get a good burger. Ben's is sure to get a mention. So, having tried our fair share of Brisbane burgers we went along to see for ourselves - Is this really Brisbane's best burger??? Well, it all depends on your preference. The quality is definitely there. This was one of the tastiest burgers I've had in a while. The buns were soft yet firm, and golden brown. The gooey, melted American cheese was spot on. Being from America myself, I can honestly say this burger was one of the closest I've found to a traditional American cheeseburger. After one bite I was homesick! The patties were beautifully seasoned and the perfect thickness. If only they had been cooked for a few less minutes, this burger would have easily taken out our top spot! But like I said it all comes down to your personal preference. If you are a fan of 'well done' burger patties then we highly suggest you try Ben's. You will NOT be disappointed. And don't get me wrong, Ben's Burgers are dishing out some of the best burgers in town. Medium rare or not- we will definitely be back.